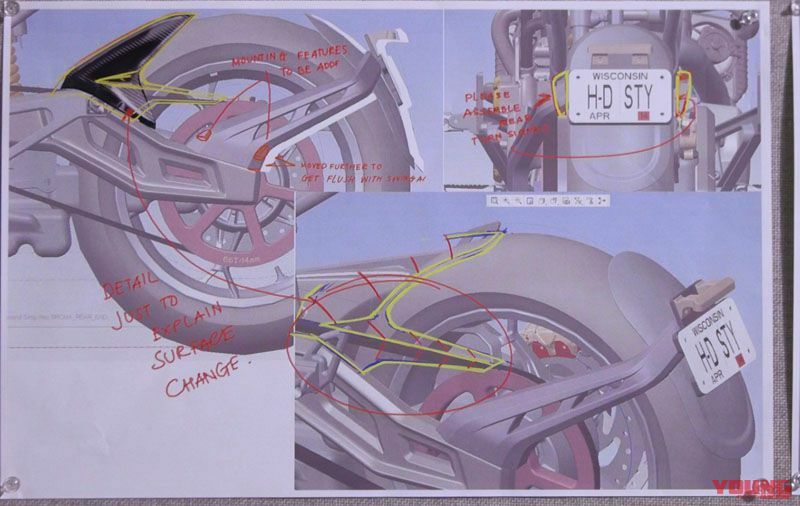 Will the water-cooled Harley Streetfighter also have a fairing?! On 30th July 2018 Harley-Davidson announced their global strategy for up until 2022, as they embark on selling a new segment of models under the so-called “More Roads to Harley-Davidson” slogan. In this part we will introduce the “Streetfighter” and “Custom” models. 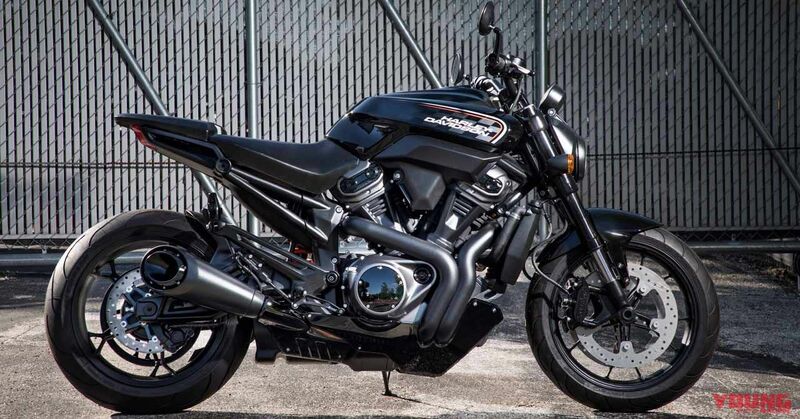 Not only did Harley formally announce the release of the Pan America 1250 that we introduced in the last article, a “Streetfighter” model due for 2020 was also announced. 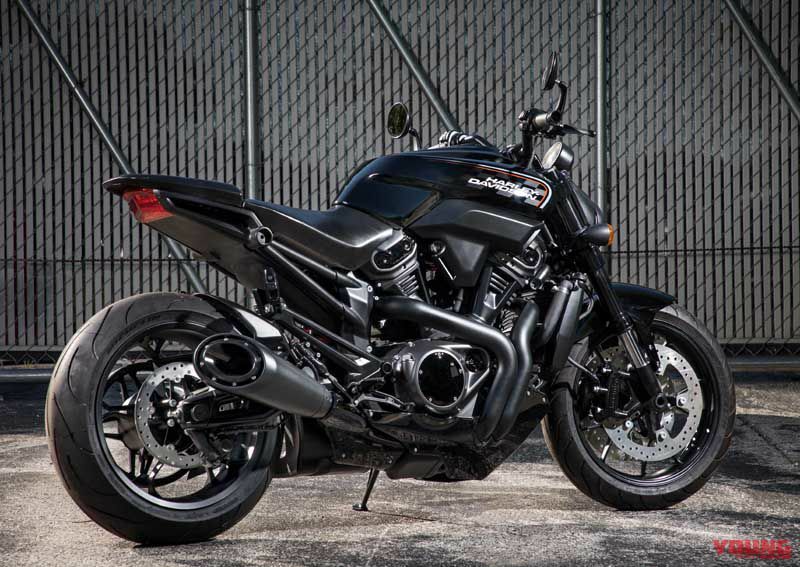 The engine of the Streetfighter was announced as a 975cc, but seeing as the exterior appearance of the engine is unchanged from the Pan America 1250 we would say things such as the bore stroke and so on will differ. Also, there is information about the existence of a 975cc version of the Pan America, so we predict that the new water-cooled V-twin two-cylinder engine will be developed like the Sportster series with two engine displacement specifications. 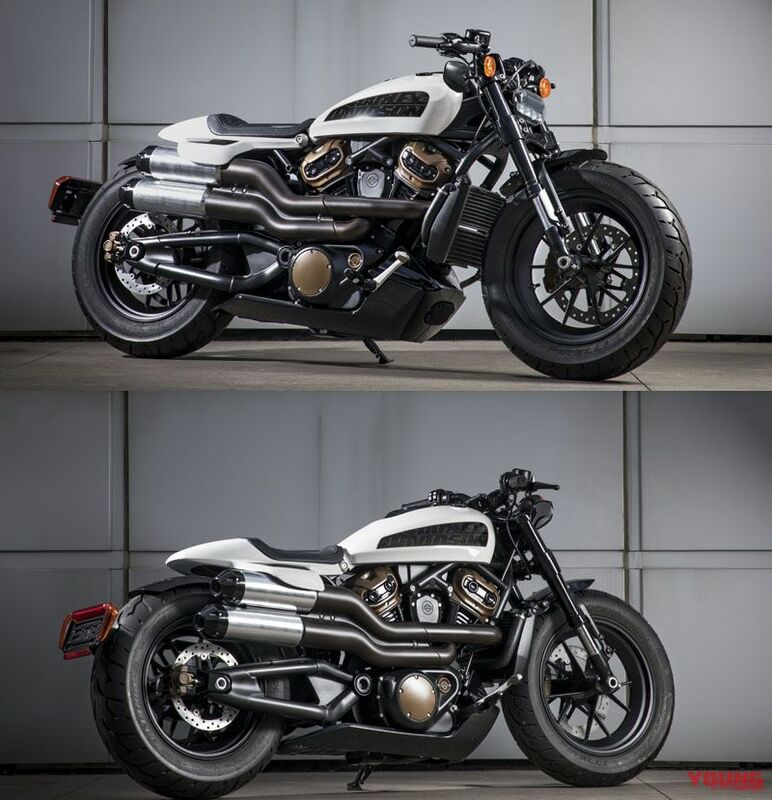 (Harley-Davidson Streetfighter Prototype) Along with the Pan America 1250, it was announced that a Streetfighter model will be released in 2020. There was no mention of a TM (trademark) for the bike’s name, so it’s either yet to be made public, or undecided upon. It was formally announced as having an engine displacement of 975cc. 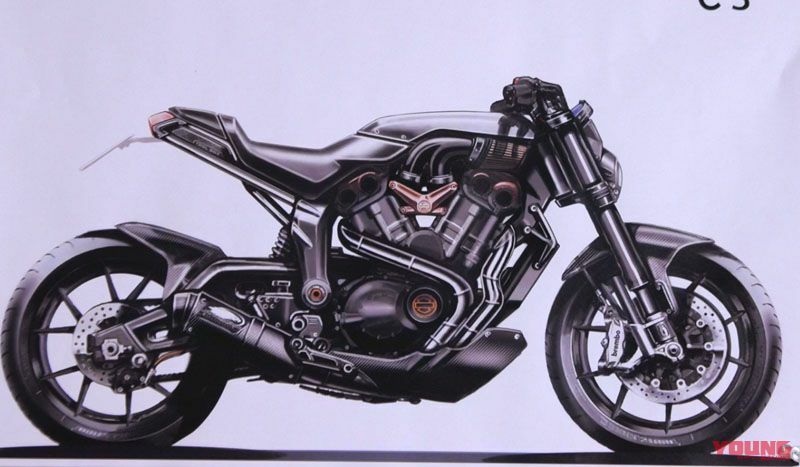 This is an image of the Streetfighter produced by Harley. Based on the fact that the air filter is positioned in the tank area and the exhaust has the “Screamin’ Eagle” mark, this design image is probably showing how it might look after being customised. Judging on how you can barely see the offset amount in the front and rear cylinders, we can assume that the con rods will be a traditional Harley knife and fork type. The exhaust comes out as one pipe on the right and the exhaust port is slash cut. It is likely the catalyst is situated within the under-fairing area. This is a number plate holder much like what is adopted by Ducati and on some Japanese bikes like the MT-09 and CB1000R. Although it is not fitted in the image displayed to the public, we wonder whether this kind of design might be released as well? It appears that the design is being aimed towards the European markets. 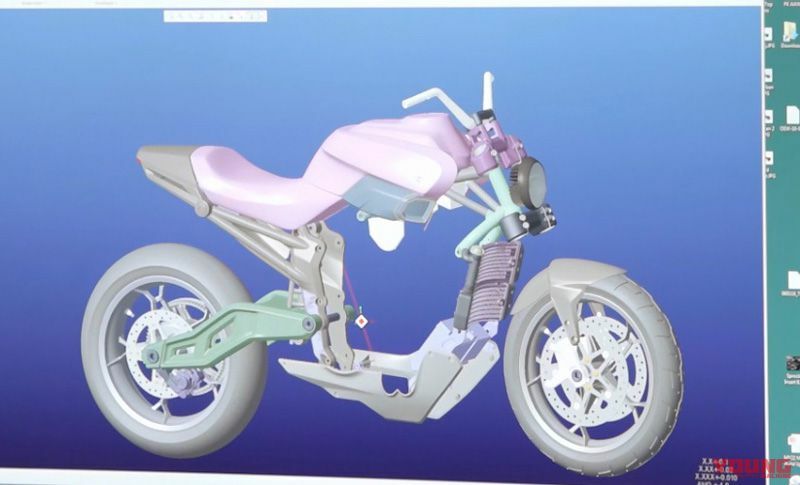 You can see from the CAD screen how the frame is constructed separately from front to rear. It appears that the pivot plate is fastened to the rear half of the engine. You could say that the rear half resembles the construction of the Ducati Panigale V4, and the front half like the Monster 1200. Not only is there a photo of the naked version of the “Streetfighter”, you can also identify a half-faired model from the video that was made public. 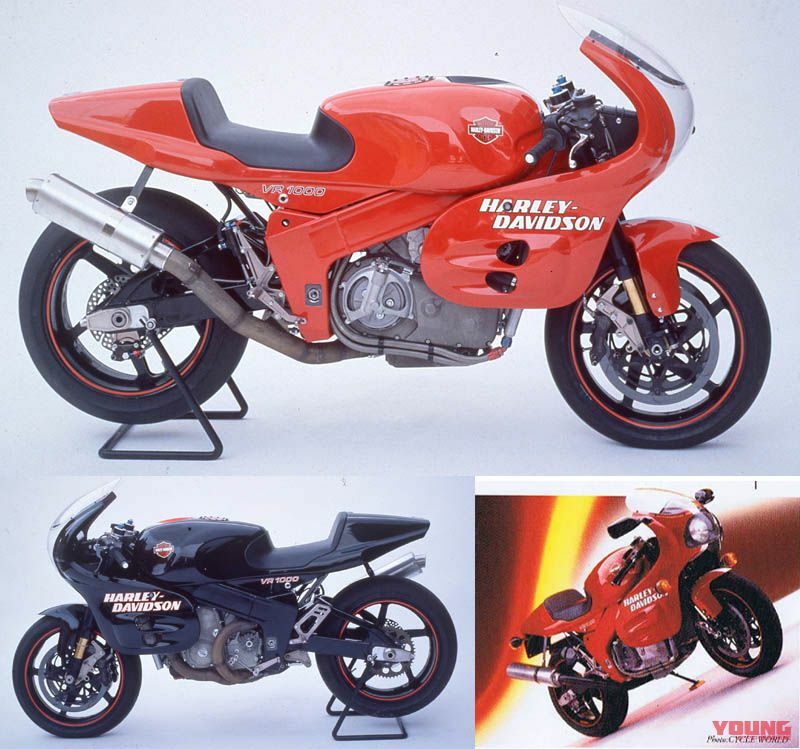 Furthermore, you can see how it is lined up along with the former water-cooled V-twin Harley VR1000 (1994) superbike that was developed in order to defeat Ducati, so we have high expectations. The announcement by Harley this time suggests they are planning to release additional models to their line-up by 2022 in order to expand further into a new segment, so surely this is the introduction of a VR1000 replica?! 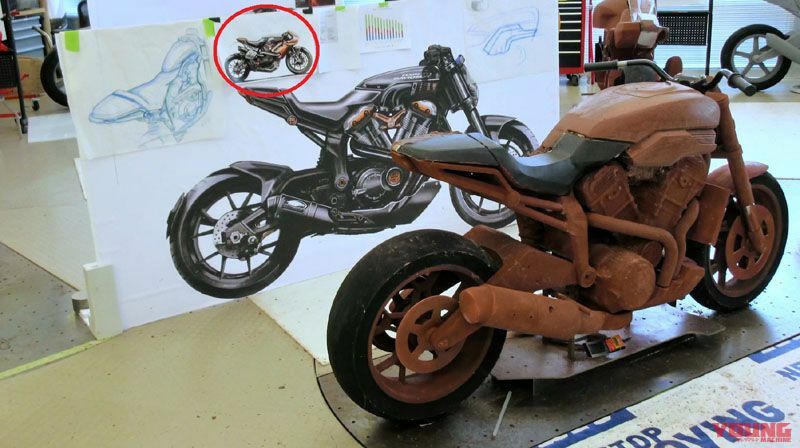 In this cut we can see how they have made such effects on purpose, with the scene of a mock bike being sculpted behind the VR1000 (front). (Harley-Davidson VR1000 1994) Harley VR1000 (above & below left) works racer that took part in the AMA Superbike Championship, and the road-going model (below right) that was sold in order to acquire homologation. It is a super authentic model with a water-cooler V-twin two-cylinder DOHC4-valve 996cc engine and aluminium twin-tube frame. 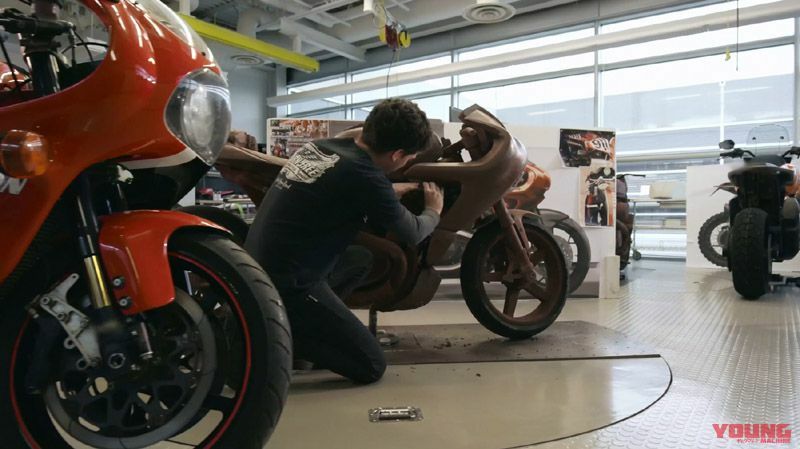 Is the “Custom” a rebirth of the V-Rod?! 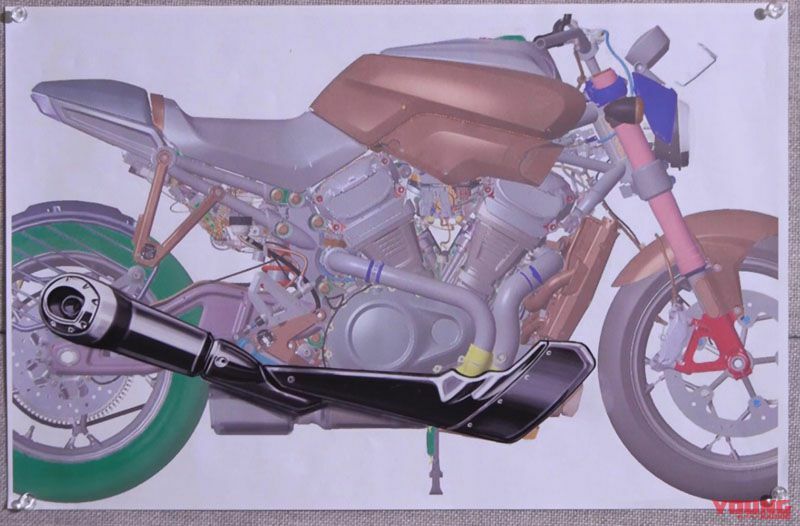 There is also the prospect of a “Custom” series to be released in 2021, equipped with new water-cooled V-twin two-cylinder engines. It has been announced as having a 1250cc displacement, and seems to be the replacement for the existing water-cooled Harley, the V-Rod that was removed from the line-up in 2017. Originally the V-Rod was the rebirth of the VR1000, and aside from the above-mentioned additional fairing, you could say it would be the natural course of events to be prepared as a performance cruiser. Also, the displacement is similar to the latter versions of the V-Rod that adopted a 1246cc capacity, but this engine clearly looks compact so it seems like we can expect to have a downsized bike that will be easier to ride for smaller people. (Harley-Davidson Custom Prototype) There has been no mention of a TM name for this, so either it is yet to be announced or undecided upon. It has been announced that it will be released in 2021, one year later than the Adventure and Streetfighter models. It seems like it will be a more extreme version of the 2018 Fat Boy design, and thanks to its compact, new water-cooled engine it is bound to be fit for the job.